Past events - Hudba bez hranic, z.s. Garden of the Heart. Musical-literary composition for the 100th anniversary of the establishment of the Czechoslovak republic. In the programme there will perform the men's singing octet Danubius Octet Singers from Bratislava with the conductor Daniel Simandl, the actress Božídara Turzonovová. Pavel Zemen - piano recital. Extraordinarily talented young pianist studies the Janáček Academy of Music and Performing Arts in Brno. Winner of many artistic prizes - let's mention the 1st prize in the Bohuslav Martinů Foundation competition among them, part of which was an opportunity to perform a concert within the Prague Spring 2013 festival. The public loves his natural performance, outstanding technique of play and attractive choice of repertoire. Song evening. Gabriela Pechmannová - soprano, Daniel Wiesner - piano. Concert postponed from October 6. On the request of the audience we include a concert of an outstanding Czech soprano this time dedicated to classic song. Piano collaboration is provided by one of the best Czech accompanists. The singer appeared in Horažďovice for the last time in the autumn 2012 in a program with the children's choir Kvítek of Komenský's Elementary School Horažďovice. Czech sax quartet. Jazz evening with four saxophones led by Roman Fojtíček. Radek Žitný. Clarinetist and saxophonist from Štěkeň, traditional participation in each festival season, program is being discussed. Trio Trifoglio. Jana Kopicová (oboe) – Jana Černohouzová (clarinet) – Jan Hudeček (bassoon). The Trio Triofoglio (Three-Leaf Clover) was ranked 1st in the competition of Karl Ditters of Dittersdorf in Vidnava and was awarded the title of laureate and absolute winner of the entire competition. The trio works with the exceptional fagotist Jan Hudeček, one of the most sought-after performers of the young generation. TrubaDůry, or from the bottom and from above (Chateau Music Summer). And who are the TrubaDůry? Women that are gifted by God. Sometimes as soft as moths, sometimes as sharp as razors, they can read cards and put together stories from them. Renaissance collage full of music, humor and poetry... they play on popular historical note, cite great poets, tell medieval, love and all kinds of folk stories - the members of the independent group PNUtí. Piano recital. Pavel Zemen. The many awards include the prize from the Prague Spring 2013 International Music Festival, the 1st prize in the international competition "Notes in Harmony" in Bertina, Italy, and the 1st prize and the title of the absolute winner of the international competition "Young Academy Award" in Rome. He studies the Academy of Performing Arts in Brno. České trio: Milan Langer - piano, Dana Vlachová - violin, Miroslav Petráš - violoncello. The name day show for the town Horažďovice. The ensemble of top qualities is now known throughout the world as a representative of the famous artistic tradition of the Czech chamber interpretation, the history of which leads up to the nineties of the nineteenth century when the first piano trio of the name was formed. Its extensive concert activity includes dozens of concerts a year at home and abroad. Duo du Rêve. Jana Jarkovská (flute) - Bohumír Stehlík (piano). Holders of numerous competition prizes. They chose the name Duo du Rêve (Duo of Dreams) according to the enthusiastic statement of one of the jurors. Young artists themselves say: "We try to bring classical music to our listeners at the highest level of interpretation. We wish, however, to reach not only their ears but also their hearts." Jan Matěj Rak: Ježkovy vwoči (Chateau Music Summer). Homage to Czech composer Jaroslav Ježek in a program of well-known singer-songwriter with a guitar. String duo. Matouš Pěruška (violin) - Kristina Vocetková (cello). In 2015 they won the Bohuslav Martinů prize and the Zoltán Kodály prize, as well as they became the absolute winners in the chamber music competition of Karl Ditters from Dittersdorf. Violin concert. Roman Patočka - violin, Martin Kasík - piano. A show to commemorate the 165th birth anniversary of professor Otakar Ševčík, the Horažďovice native. Artists of top quality, the winner and laureate of the Prague Spring competition with the winner of the piano section of the competition Young Concert Artists New York. Karel Dohnal in the program Karlheinz Stockhausen: Harlekin. Comedy performance during which both adults and children laugh and are impressed. The artist plays the clarinet, dances and performs pantomime. Program is very demanding so only a few artists in the world perform it. With a well-informed foreword by Karel Dohnal. Mixed choir Martinů Voices. The performance of twelve member chamber choir conducted by Lukáš Vasilek. The ensemble was established in 2010 with the ambition to interpret choir works on the highest artistic level. All its members are professionals that gained education at the conservatoires and musical academies, despite their youth they have rich practical experience. Zeiher Quartett. International chamber ensemble consisting of: Alexander Zeiher - 1st violino, Tomáš Hájek - 2nd violino, Makoto Sudo - viola, Lukáš Pospíšil - cello. By the founding of the chamber ensemble Zeiher Quartett the members of Philharmonisches Orchester Würzburg and PKF - Prague Philharmonia created space - beside the love to symphonic and opera works - for the interpretation of chamber music. The experience of the quartet members is the successful foundation of the common creation of young ensemble. Apart from own rich repertoire the quartet focuses on the cooperation with interpreters all over the world. Radek Žitný - closing concert of the jubilee 10th year of the Music Summer in Štěkeň festival. The story of saxophone. Radek Žitný - saxophone, Andrea Procházková - piano. Programme: J. S. Bach, D. Milhaud, E. Schulhoff, J. Francaix. Well tuned piano of Petr Novák. Programme of the Pilsen pianist puts emphasis on listener attractive programme that will lead us through centuries - from Jazz Tonic no. 3 by J. Makholm through pleasant compositions of young composer Tomáš Karpíšek (1991), film music from the film Dangerous Moonlight to the virtuosic jazz Rhapsody in Blue by G. Gershwin. Musica dolce vita: 10 years with you. Daniela Demuthová - soprano, Žofie Vokálková - flute, Zbyňka Šolcová - harp. Gala to the 10th anniversary since establishment of the ensemble. The listeners' most favourite compositions from the ten year activity of the trio on the musical scene will sound. Poetic moments (Chateau Music Summer). Chamber ensemble Musica dolce vita (Daniela Demuth - mezzosoprano, Žofie Vokálková - flute, Zbyňka Šolcová - harp) will present the music by G. F. Händel, A. Vivaldi, W. A. Mozart, C. Debussy, M. Ravel and other authors sensitively united with tender love poetry of the harpist Zbyňka Šolcová. Journey with the emperor Charles IV. Concert to remind the anniversary of 700 years since the birth of the Czech ruler of European meaning with Gabriela Pechmannová (soprano) and Daniel Wiesner (piano). Programme with the story about the prince Přemyslid after his mother who became Czech king and Holy Roman emperor. Musical pictures from the places in Europe through which the ruler was led by his diplomatic interests. Escualo quintet and Gabriela Vermelho (concert to the nameday of Horažďovice town). Let's take a look together on the lifestyle called "argentine tango". The artists will perform in the traditional instrument cast including special harmonica bandoneon, the quintet works under the conduct of Jakub Jedlinský together with champion dance couple and with singer Gabriela Vermelho (the bearer of Alfréd Radok prize). The concert is held under the patronage of Embassy of the Argentina Republic in the Czech Republic. Violin concert of Martin Kos, piano accompaniment Štěpán Kos. Classic concert programme adorned with the works of G. Pugnani, F. Kreisler, H. Biber, J. Haydn and other excellent composers. Jan Matěj Rak: Ježkovy vwoči. Concert homage to the life and work of the composer Jaroslav Ježek. In unique guitar arrangements of Jan Matěj Rak the virtuosic Ježek's Bugatti step, both famous and less known foxtrots and blueses as well as abundance of information about legendary composer, his life and period will sound. Touches of strings and magic of bellows: FLOS FLORUM (Chateau Music Summer). Jindřich Macek - lute, Jitka Baštová - accordion, Alfred Strejček - artistic recitation. Programme for the anniversary of 700 years since the birth of "Pater Patriae" Charles IV with the compositions from Rukopis vyšebrodský and other manuscripts from the beginning of the 15th century, selection from Jistebnice hymn book, renaissance songs by John Dowland, compositions of D. Scarlati and other authors. Unconventional connection of two instruments with unique sound combination presents arranged compositions so that the assets of both instruments, their fineness and capability to induce certain feeling, portray onomatopoeia, come to the fore. Gothic music is presented here in modern concept, in atypical consonance of concert accordion and lute. Solo compositions are selected so as to preserve the historical framework of the program. The project is accompanied by the word about the lifetime of the great Czech ruler. Radek Žitný - opening concert of the jubilee 10th year of the Music Summer in Štěkeň festival. Carl Maria von Weber (1786 - 1826) and his anniversary: concert of clarinet compositions to the double anniversary of an outstanding composer. Radek Žitný - clarinet, Kristina Stepasjuková - piano. Karel Dohnal (clarinet) and String Trio of the members of the Czech Philharmonic (Magdalena Mašlaňová - violin, Pavel Ciprys - viola, Ivan Vokáč - cello. Not much heard cast of chamber ensemble and top performed compositions of K. Stamitz, B. H. Crussel, O. Respighi, G. Conesson and R. Kokai. Violin recital of Martin Kos, piano accompaniment Štěpán Kos. West Bohemian natives, Kos brothers, rank among the interpretative elite in the Czech Republic. Their performance is a reminder of professor Otakar Ševčík, famous native of Horažďovice, creator of modern teaching method of violin playing, recognized and still used in the world. Radek Baborák in Jadin trio. French horn player Radek Baborák belongs to the most noticeable personalities of the international music scene. He regularly performs concerts with many world orchestras. Trio Jadin: Radek Baborák - French horn, Hana Baboráková - cello, Andrea Vavrušková - piano. Radek Žitný in the clarinet trio of students of the Academy of Performing Arts in Prague. Traditional closing concert of Music summer in Štěkeň 2015 with the participation of the native Radek Žitný and his guests. Kalliope Trio Prague. Classical piano trio, which was written about by our Western neighbours: "New rising star of a musical heaven... you can say, you were present." (Veit Feger - Schwäbische Zeitung). Performers: Alena Kohoutová - piano, Markéta Vokáčová - violin, Jan Zemen - celo. Debut at the Prague Spring festival 2014, 1st place in the International competition of Bohuslav Martinů in the discipline piano trio 2014, 2nd place in the international compeitition of chamber music of Antonín Dvořák 2014, 3rd place in the International competition of chamber music of Johannes Brahms Gdansk 2015. Guitar recital of Martin Škubal. Guitar recital of Martin Škubal - classical guitar in the concert of an outstanding young artist from Pilsen - he is currently studying in Vienna. He returns to the Štěkeň chateau after four years. Swing evening with saxophone class of Vladimír Kratochvíl. (Chateau Music Summer) Vladimír Kratochvíl worked 21 years in Germany, now he is a music teacher in the Music School in Sušice. The concert programme consists of swing melodies of nowadays already classical authors (J. Garland, G. Miller, B. Howard, G. Gershwin and many others). Performers: Marie Houšková (singing), Lucie Ptáčková (alto saxophone), Štěpán Potužák (alto saxophone, tenor saxophone) and Tricken Brudrs band (D. Čámský – percussion, J. Pelech – doublebass, J. Zdeněk – piano). The concert will be introduced by Vladimír Kratochvíl. Jazz evening with Alena Průchová and her friends. IVA BITTOVÁ and Bardolino trio led by violinist Pavel Fischer. Well-known violinist lives currently in USA, the concert is one of the few performances of Iva Bittová organized within the concert tour in the Czech Republic. We can look forward to violin improvisation, author's creation of Iva Bittová and Pavel Fischer, Jewish klezmer music and Sephardi songs, in the end of the concert Slovakian songs - own arrangement of folk songs from Slovakia. Jazz-folk quartet of Markéta Zdeňková. (Chateau Music Summer) The young singer and guitarist Markéta Zdeňková, student of J. Ježek College, has a repertoire of predominantly her own folk-jazz songs based on original lyrics. Her big inspiration in the beginnings of production was Zuzana Navarová. She performs with the accompanimant of the well-known pianist Zdeněk Zdeněk (Naima, Hana Hegerová, Vlasta Průchová and others), violinist Marek Ferenc and bass guitarist Václav Mašek. Touches of strings and magic of windbag. The programme is already at the first sight quite exceptional, it wants to introduce to the listeners compositions adapted for an unconventional duo - a rare combination of aerophone (where the sound is produced by causing a body of air to vibrate) and a historical instrument, and to bring to the public this way new thoughts and colorful musical ideas. The composition are chosen in such a way, so that the advantages of both instruments come to the fore, their delicacy, diversity and capability to induce a specific feeling. On top of that, the appropriately chosen accordion and lute solos will introduce both instruments in various styles and genres. In the programme the compositions of H. Newsidler, J. Dowland, D. G. Speer, D. Scarlatti, C. Debussy, J. Ibert, E. Werner, G. Klucevsek and R. Turovský will sound. Performers: Jitka Baštová - accordion, Jindřích Macek - lute. Radek Žitný with the students of the Academy of Performing Arts Prague. Radek Žitný with his Prague friends traditionally opens the concert season in Štěkeň. Gallant touches of sweet France. Chants of old France and concerts for harpsichord, flute and cello. French music of the baroque composer J. P. Rameau and poetry of the 17th century. Nowadays already legendary Miroslav Kovářík - recitation, Robert Heger - flute, Jiří Hošek - cello, Hana Kimelová - harpsichord. Wind quitet of Prague philharmonia. Chamber ensemble of Prague philharmonia, the outstanding orchestra of young Czech musicians, founder of which is the legendary Czech conductor Jiří Bělohlávek. Performers: Jiří Ševčík - flute, Vladislav Borovka - oboe, Jan Brabec - clarinet, Václav Fürbach - bassoon, Jan Musil - French horn. Accompanying word Vladislav Borovka. Singing recital of Tomáš Sup. Piano cooperation: Jaroslav Šaroun. The performance of young talented singer who cooperates with Czech pianist, composer and teacher, long-time member of Czech Philharmonia. Why is Rhapsody of George Gershwin in Blue? Jazz concert with outstanding Karel Košárek at the piano. Of the influence of the first jazz wave on George Gershwin and Bohuslav Martinů. The programme could be heard for the first time within Prague Spring 2012. Radek Žitný. Concert is being prepared. Evening with Czech and French chansons of Marta Balejová. Piano cooperation: Jiří Hošek. Marta Balejová belongs to excellently distinctive chanson singers. During the last ten years she has been gaining popularity at the regular evenings of the programme "Chanson, public affair" in Prague, the Lesser Town. She admirably interprets the songs of Edith Piaf, both with her original lyrics and in Czech, in her own translation. Considerable part of Marta Balejová's repertoire consists also of her own chanson production. Folk-jazz concert. Singer and guitarist Markéta Zdeňková, student of college of J. Ježek, has in her repertoire mostly her own folk-jazz songs based on original lyrical lyrics. She performs with accompaniment of the pianist Zdeněk Zdeněk (Naima, Hana Hegerová, Vlasta Průchová and others) and the bass guitarist Václav Mašek. Currently also the violinist Lucia Preister, student of Music and Dance Faculty of the Academy of Performing Arts and Ježek's Conservatory, member of music group Tritonus Priest, enriches with her playing Markéta's songs. Music of Shakespeare's period. Unique duo of Czech mezzosoprano Jitka Chaloupková and English lute player Brian Wright introduces lute compositions of renaissance authors and compositions of Brian Wright to the texts of William Shakespeare. Wind quintet of Prague Philharmonia of outstanding musical qualities performs consisting of Jiří Ševčík - flute, Vladislav Borovka - oboe, Jan Brabec - clarinet, Václav Fürbach - bassoon, Jan Musil - French horn. Prague Philharmonia was founded in 1994 and at its inception there was world recognized outstanding conductor Jiří Bělohlávek. The orchestra of young Czech musicians reached outstanding qualities from the very beginning and today it is a desired and recognized ensemble even abroad. Piano trio of Prague Philharmonia players. Ceremonial concert for the name day of the town Horažďovice. The chamber ensemble of outstanding young Czech musicians consists of Marek Šedivý (piano), Jakub Fišer (violin), Lukáš Pospíšil (cello). The programme: L. van Beethoven, B. Martinů and A. Dvořák. Singing recital of Gabriela Pechmannová. Piano cooperation Štěpán Slavík. The soprano returns to Štěkeň due to popular request of the listeners. At first she studied piano at the Conservatory in Pilsen. Then she started studying singing at the reputable professor Ludmila Kotnauerová. After the second successful graduation she continued with her pedagogical activity, this time primarily in the singing department of the conservatory. Currently the singer cooperates with professor Renate Ackermann, the associate professor at Bayerische Theaterakademie August Everding in Munich. HLASOPLET. Men's vocal quintet came into existence in spring 2003 in the Theatre of Josef Kajetán Tyl in Pilsen. Spontaneity, precision, variety, musical wit and voice register from solid bass tones up to cultivated falsetto heights - this is the quality that soon found its way to the audience. Chamber ensemble of students of the Academy of Performing Arts in Prague conducted by Radek Žitný. Violin recital of Marek Pavelec. Piano cooperation: Maxim Averkiev. Concert to commemorate the 80th anniversary of decease of professor Otakar Ševčík, creator of the worldwide recognized modern method of violin playing. Marek Pavelec, the talented violinist of the young Czech generation was accepted to prestigous study in the class of legendary professor Zakhar Bron in Zürich. December 29, 2013, 5 pm in the St. John the Evangelist's Church in Blovice. Christmas concert. Gabriela Pechmannová (soprano), P. Piotr Marek (tenor), Jitka Chaloupková (organ). South Bohemian chamber soloists. An excellent ensemble, that will introduce baroque and classicist music with solo trumpet and harpsichord, conducted by Jiří Pelikán, will arrive to Horažďovice from the capital of the South Bohemia. The ensemble is composed of: Martin Týml, Jan Jírů – first violin, Vítězslav Ochmann, Ladislav Kosmák – second violin, Jaroslav Tröstl – viola, Jiří Šlechta – violoncello, Jiří Pichlík – bass, Jitka Šlechtová – harpsichord, Jiří Pelikán – trumpet. We will be pleasantly tuned in to the period of coming Advent and Christmas by the compositions of W. A. Mozart, H. Purcell, J. Pachelbel, A. Corelli and G. F. Händel. Bachtale apsa. An excellent gypsy band gathered around the exceptional blind gypsy singer, accordionist and pianist Mário Bihári. Mário became famous above all for the cooperation with Zuzana Navarová. The group includes in its repertoire folk music of Balkan, Hungarian, Romanian and Slovak gypsies. Neither sinti jazz compositions nor classical czardas, typical for Central European gypsies, are missing. The gypsy name Bachtale apsa, translated as The tears of happiness, expresses the variety of moods and emotions that are being evoked in the listeners of gypsy music. Celebratory concert in honor of st. Wenceslas. Gabriela Pechmannová (soprano), Markéta Schley Reindlová (organ). The mixed choir Klenota (Klecanská nota) and other musicians from Klecany will perform during the concert. Our association co-organizes the concert together with the Municipality Klecany and the citizens association Pravý Hradec, o.s. Music from baroque until today. Radek Žitný - clarinets, saxophones, Zdeněk Filipec - piano. Holy mass - celebrated by P. Piotr Marek. Gabriela Pechmannová (soprano). Organ cooperation Jitka Chaloupková. Benefit concert of outstanding Czech harpist Ms. Jana Boušková who achieved considerable international recognition for her artistic performances. You can find more about the artist at www.janabouskova.com. The concert is being organized in favour of the fund-raising campaign to finish the general restoration of the organ in the Assumption of Mary Church in Pilsen. Our association co-organizes this concert together with the Roman Catholic parish of the St. Bartholomew's Cathedral in Pilsen. The concert of piano improvisation of Jiří Pazour. Outstanding pianist and composer (rich cooperation with radio, film music, songs and composition for classical singers), master of piano improvisation who plays world evergreens and also compositions along the suggestions of the audience. Gems of baroque music. Petr Přibyl, the viola concert master of the Orchestra of National Theatre in Prague, Jan Sládeček, the violoncello concert master of the Orchestra of National Theatre in Prague and with the conductor of the Orchestra of National Theatre in Prague and the cemballist David Švec. Music of the Shakespeare's era. Unique duo of the Czech mezzosoprano Jarmila Chaloupková and English lutist Brian Wright presents lute compositions of renaissance authors and Brian Wright's compositions to the texts of William Shakespeare. They perform often abroad (England, France, USA). Quo vadis bass – bass quartet. Funny program will be introduced by the unusual ensemble of four basses led by Jiří Pichlík with the repertoire of world authors’ evergreens. The well-known opera director Josef Průdek will accompany the program and will read the short story Of two basses love by Jan Werich. It’s not a well-known fact these days, that the director is also an excellent baritone and will sing an excerpt of Tovje the milkman role from the musical Fiddler on the Roof by J. Bock and L. Stein. Chanson recital of Jitka Zelenková (concert to the name day of the town Horažďovice). The lady with an excellent musical taste managed, apart from the career of vocalist in Karel Gott’s ensemble, to develop successfully her own solo career, which was several times considerably acknowledged both home and abroad. The refined selection of quality musical ideas joined by the lyrics, which are able to communicate something and with which we can confront our own life feelings. On the stage the cooperators of the singer are František Raba (bass) and Lev Rybalkin (piano). Music of the queens. The ensemble Musica dolce vita (flute - vocals - harp) presents a programme of women - composers that was very successful during the USA tour (e.g. in the Czech Center in New York together with presentation of Blanka Matragi's jewellery). In Cordis Ensemble. In the program of the renaissance amorous poetry “Affetti amorosi” the trio of the historical plucked string instrument playing specialists will perform: Kateřina Ghannudi (baroque harp), Jan Krejča (theorbo, lute, baroque guitar), Miloslav Študent (archlute, lute, baroque guitar). The artists will lead us through the passion kaleidoscope of an amorous relationship – from love to scorn. Plzeňský MLS - the folklore ensemble with the programme of folk songs from southwestern Bohemia conducted by Ing. Miroslav Šimandl, respected expert in folklore. The recital of Czech and Japanese artists. Hitomi Mizutani - oboe, Azumi Shudo - piano, Radek Žitný - clarinet, Jindřiška Jandová - piano. The anniversary concert of the child choir Kvítek of Elementary School Komenského in Horažďovice. The just issued CD of the choir with the recording of a concert from the series of Ševčík's Music Evenings in Horažďovice from October 5, 2012 where Kvítek performed conducted by Mgr. Dana Slepičková and Mgr. Dagmar Kováčová together with the soprano Gabriela Pechmannová and the pianist Daniel Wiesner will be presented during the concert. Our association took part on the preparations of the CD release. Gypsy Songs – the recital of the baritone Roman Janál. In the cooperation with the outstanding pianist Karel Košárek the soloist of the Prague National Theatre opera will introduce songs of Karel Bendl, Vítězslav Novák, Johannes Brahms and Antonín Dvořák, inspired by the original poetry of gypsy songs full of passionate emotions. Jazz night of Alena Průchová. Jazz quintet composed of Alena Průchová (vocals), Kryštof Marek (piano), Přemysl Tomšíček (trombone), František Raba (bass), František Hönig (percussions). You can hear and see this young singer as a accompanying vocalist in the TV shows Česko hledá Superstar, Stardance, Duety or in the vocal ensemble of Lucie Bílá. In the future she would like to devote herself to original production with her own band. The other performers also belong to the fixed stars of our jazz heaven. February 24, 2013 in Knurow (Poland). Concert of lenten sacred music in the St. Cyril and Methodius Church. Gabriela Pechmannová (soprano). Organ cooperation Jitka Chaloupková. January 26, 2013, 7 pm, in Losy's Hall in the Štěkeň Chateau. The meeting of supporters and friends of Mary Ward, the founder of Congregatio Jesu. Ceremonial concert - song evening. Gabriela Pechmannová (soprano), Štěpán Slavík (piano). December 30, 2012, 5 pm in St. John the Evangelist church in Blovice. Concert from the "Ševčík's Music Evenings" concert series in the secession hall in Prácheň Hotel in Horažďovice, Strakonická 153. Zrunek's Missa: Harmonia pastoralis - Ritornello ensemble, children singing choir Kvítek, singing choir Original Band, singing society Prácheň. The completion of the 3rd season of Ševčík's Music Evenings will be taken care of by the collective project of the chamber ensemble Ritornello Prague and the singing choirs from Horažďovice conducted by Michael Pospíšil, the artistic director of the Ritornello ensemble. Ritornello ensemble (with variable cast according to the specialisation of the interpreters according to current programme) concertrates above all on the music of 16th and 17th century. The Zrunek's mass programme was successfully performed in USA in 2010. The evening will be formed by three parts: singing of Christmas songs from baroque hymn books, Zrunek's Christmas mass, singing of the artists and the audience together. The children from the singing choir Kvítek, members of the teacher singing choir Original Band and the singing society Prácheň from Horažďovice will take part in performing the Zrunek's mass. This project is supported by Era via the VIA Foundation. The project of Ševčík's Music Evenings was supported by the Pilsner region. Concert from the "Ševčík's Music Evenings" concert series in the secession hall in Prácheň Hotel in Horažďovice, Strakonická 153. Violin recital of Jana Vonášková - Nováková with piano accompaniment of Petr Novák. Jana Nováková - Vonášková, born in Pilsen, is one of the best violinists in the Czech Republic. She gained a scholarship in Royal College of Music in London, graduated from Academy of Performing Arts in the class of professor Snítil, she is a laureate of several international competitions, concerting plentifully and recording for significant world companies. Her performance definitely mustn't be missing in the hometown of Ševčík. The project of Ševčík's Music Evenings was supported by the Pilsner region. Concert from the "Ševčík's Music Evenings" concert series in the secession hall in Prácheň Hotel in Horažďovice, Strakonická 153. Don't fear the opera. Gabriela Pechmannová (soprano), Daniel Wiesner (piano) and children's singing choir Kvítek from Horažďovice conducted by the choirmaster Dana Slepičková. After four years the outstanding soprano returns to Horažďovice to realize together with an excellent pianist a long planned project with children singers from Horažďovice. The accompanying words to the programme of songs and famous operatic arias will show us that the world of classical music has been part of our lives more than we've been thinking. Concert of the 6th "Concert Summer in Štěkeň" festival in the Losy's Hall of the Chateau Štěkeň. MELODY BAND orchestra. Jazz, swing and film music of 30s, 40s and 50s performed by the orchestra with the favourite Žitný brothers. Concert of the 6th "Concert Summer in Štěkeň" festival in the Losy's Hall of the Chateau Štěkeň. Romany band Bachtale Apsa with Mário Bihári. Bachtale Apsa (Tears of Luck) band, which gathered around famous musician Mário Bihári, belongs to our best Romany ensembles. The name expresses the variety of moods and emotions that Romany music provokes in the listeners from everlasting. We find in it roots of Balkan, Hungarian, Spanish, Russian and Slovakian Romanies. Its foundation is a virtuose accordion and piano of Mário Bihári and excellent vocals and brilliant music performances of his colleagues in stirring rhythms. Fundraiser concert with a collection for finishing the general restoration of the organ in the Assumption of Mary Church ("At the Franciscans"). Performers: Roman Janál (baritone), Gabriela Pechmannová (soprano), Markéta Schley-Reindlová (organ). The artists abjured from the entitlement to pay, the profit of the concert entrance fees will be put into the collection for the instrument restoration. Concert of the 6th "Concert Summer in Štěkeň" festival in the Losy's Hall of the Chateau Štěkeň. Guitar recital of Martin Škubal. Young artist studies in Vienna under the tutelage of significant Uruguayan guitarist Alvaro Pierri. His performances are real treats. Concert of the 6th "Concert Summer in Štěkeň" festival in the Losy's Hall of the Chateau Štěkeň. Contrabass quartet concert "Quo vadis bass" with Josef Průdek as a guest. Unique project of a quartet composed of four contrabasses led by Jiří Pichlík. Guest of the evening: singer and significant opera director Josef Průdek. Mr. Průdek will recite Werich's story Of two basses love and he will sing one song from the Fiddler on the Roof musical accompanied by Quo vadis bass quartet. Concert from the "Ševčík's Music Evenings" concert series in the secession hall in Prácheň Hotel in Horažďovice, Strakonická 153. NEVE band. Mário Bihári and František Raba belonged to the closest cooperators of Zuzana Navarová in the group KOA. After the early departure of this outstanding musical personality they performed as a duo, in summer 2011 they invited Pavel Fischer, Norbi Kovács and Tokhi to cooperation - that is how the NEVE band was created. The repertoir is composed of the works of all members. Their music goes of the borderlines of genres, from wordlmusic over folk, jazz and pop to classical music. Concert of the 6th "Concert Summer in Štěkeň" festival in the Losy's Hall of the Chateau Štěkeň. Piano recital. Performance of the pianist Jana Havlíčková. Programme G. F. Händel, W. A. Mozart, L. van Beethoven, F. Mendelsohn, L. Bernstein, Z. Fibich, A. Dvořák, B. Smetana, F. M. Hilmar and others. Concert from the "Ševčík's Music Evenings" concert series in the secession hall in Prácheň Hotel in Horažďovice, Strakonická 153. Lyra da Kamera ensemble: German Baroque Masters. The concert programme is composed above all of the works of significant German baroque composers - J. S. Bach, G. F. Händel and G. P. Telemann. Both instrumental and vocal works of all three authors, who knew each other and either were friends (J. S. Bach and G. P. Telemann) or led very reserved relationships, are confronted. Concert of the 6th "Concert Summer in Štěkeň" festival in the Losy's Hall of the Chateau Štěkeň. Recorder flute ensemble HARMONIA. The ensemble plays the copies of rennaissance recorders from the middle of 16th century. Programme: W. Byrd, A. Holborne, J. Handl, V. Otto, E. Janequin, T. Tallis, J. Dowland, O. di Lasso and baroque sonatas of M. Blavet, B. Marcello, G. F. Händel, G. P. Telemann. Ensemble members: Eva Matoušková - recorder, baroque flute, Eliška Holečková - recorder, Jan Matoušek - recorder, Jan Čížek - recorder, Jan Matoušek sr. - recorder, basso continuo. Concert of the 6th "Concert Summer in Štěkeň" festival in the Losy's Hall of the Chateau Štěkeň. Prague Conservatory students - wind instruments throughout the genres. In solo performances, making-up a duo, trio and quintet, playing students of the oldest Bohemian conservatory: Michaela Macourková - French horn, Petr Pavlíček - oboe, Michal Vacek - flute, Ondřej Vašků - bassoon, Radek Žitný - clarinet. Programme: A. Jolivet, G, Cambini, L. van Beethoven, W. A Mozart, M. Arnold, Ch. Lefebre, J. Ježek and many more. Concert from the "Ševčík's Music Evenings" concert series in the secession hall in Prácheň Hotel in Horažďovice, Strakonická 153. Concert of tones and colors. Masterly piano improvisation of Jiří Pazour within a stable framework leaves the compositions which come of the immediate wishes of the spectators - from developping the themes of famous classical compositions through jazz, pop songs or themes thoroughly impressionistic (spring thunderstorm rushes through the landscape, marital quarrel...). During the evening a painting of Olga Volfová, the artist, is being created. Both artists inspire each other and introduce to the audience both musical and visual improvisation. The programme is valuable also with the possibility of active involvement of the audience in the creation of the evening. Concert from the "Ševčík's Music Evenings" concert series in the secession hall in Prácheň Hotel in Horažďovice, Strakonická 153. Bardolino Trio with Jana Procházková. Conducted by former concertmaster of Škampa's Quartet Pavel Fischer, a new project on the bordeline of genres came into existence - the trio is inspired by folk creations, this time the Moravian songs collections by Leoš Janáček. They invited Jana Procházková, the musical singer, to cooperation. The programme, introduced in the National Theatre in Prague, is very successful by the spectators. Concert from the "Ševčík's Music Evenings" concert series in the secession hall in Prácheň Hotel in Horažďovice, Strakonická 153. Accordion concert of Petr Vacek - talented student of Pilsen Conservatory, laureate of Plzeňský Orfeus prize awarded by the Foundation of 700 years of Pilsen City to the young classical music artists. Celebratory Christmas concert where Mons. František Radkovský, bishop of Pilsen, personally takes part. Gabriela Pechmannová (soprano), Jitka Chaloupková (organ), Marie Pachnerová (violin), Hana Pumrová (flute). The benefit of the concert will be used for the restauration of organ in the Assumption of Mary Church ("At the Franciscans") in Pilsen. Czech Christmas Mass by J. J. Ryba - conducted by Jitka Chaloupková. Gabriela Pechmannová (soprano), Šárka Dolejšová (alto), P. Piotr Marek (tenor), Miroslav Šimandl (bass), Zdeňka Ledvinová (organ), chamber orchestra and singing choir Rezonance. The benefit of the concert will be used for completion of the construction of the organ in Nativity of Mary Church in Starý Plzenec. Czech Christmas Mass by J. J. Ryba - conducted by Jitka Chaloupková. Gabriela Pechmannová (soprano), Eliška Mourečková (alto), P. Piotr Marek (tenor), Miroslav Šimandl (bass), Zdeňka Ledvinová (organ), chamber orchestra and singing choir Rezonance. The benefit of the concert will be used for the reconstruction of plastering and painting of St. John the Evangelist's Church in Blovice. Concert from the "Ševčík's Music Evenings" concert series in the secession hall in Prácheň Hotel in Horažďovice, Strakonická 153. Flute concert of Jana Brožová with the piano accompaniment of Petra Matějová - talented young artists, studies in Paris, Geneva, laureates of many prizes, concerting all over Europe. Concert from the "Ševčík's Music Evenings" concert series in the secession hall in Prácheň Hotel in Horažďovice, Strakonická 153. Harp recital of Jana Boušková - international star, the member of Czech philharmonic orchestra, she is the grace note of this year of Ševčík's Music Evenings. Because of the busyness of the artist the concert will be introduced on Wednesday. Concert of the 5th "Concert Summer in Štěkeň" festival in the Losy's Hall of the Chateau Štěkeň. The association Hudba bez hranic, o.s. and Congregatio Jesu warmly invite you to a friends' event: summer concert of children and girls singing choir Pražská kantiléna from the Music school in Jižní Město, Prague 4, with the programme of sacred, secular and folk songs charmingly arranged by both inland and foreign authors. Concert of the 5th "Concert Summer in Štěkeň" festival in the Losy's Hall of the Chateau Štěkeň. Prague Bassoon Band. Bassoon quarteto under the leadership of young member of Czech Philharmonic Orchestra Václav Vonášek, impressive program of high quality. Guitar recital of Martin Škubal - classical guitar in concert of a promising young artist from Pilsen currently finishing his studies on the Pardubice Conservatory. Concert of the 5th "Concert Summer in Štěkeň" festival in the Losy's Hall of the Chateau Štěkeň. Piano trio of Prague Philharmonia. Jakub Fišer - violin, Lukáš Pospíšil - violoncello, Marek Šedivý - piano. Romantic program of the players from outstanding Czech orchestra, which accompanies regularly international stars. The founder and honorary conductor, legendary Jiří Bělohlávek, now conduct the BBC Orchestra in London. Concert with the gathering for the restoration of the baroque organ. Gabriela Pechmannová (soprano), Zdeňka Ledvinová (organ). Concert of the 5th "Concert Summer in Štěkeň" festival in the Losy's Hall of the Chateau Štěkeň. Lyra da Camera. Jitka Navrátilová - harpsichord, Johana Rosická - soprano, Kateřina Chudobová - flute. W. A. Mozart and his Czech contemporaries - succesfull program introduced regularly in Prague - Bertramka. Concert from the "Ševčík's Music Evenings" concert series in the secession hall in Prácheň Hotel in Horažďovice, Strakonická 153. 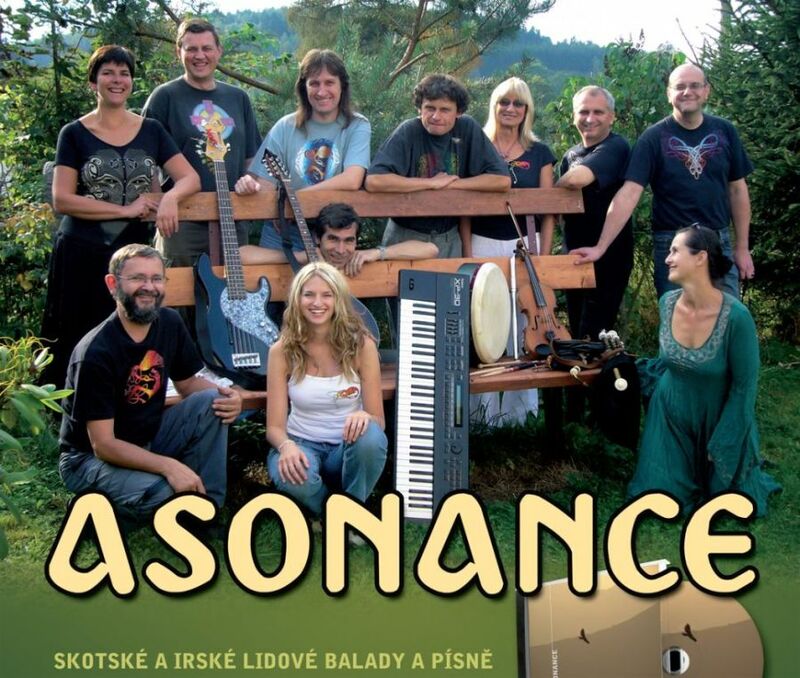 Asonance - legendary folk group with a program of Scottish and Irish ballads with versioned Czech lyrics. Concert from the "Ševčík's Music Evenings" concert series in the secession hall in Prácheň Hotel in Horažďovice, Strakonická 153. Dominika Hošková - violoncello, talented student at Music Academy of Jerusalem, will introduce violoncello double concerto with her father, the docent of AMU Jiří Hošek, Lidové noviny devoted a six page interview to this promising soloist in February 2011 in Friday magazine. Celebrational mass ("may") for the Leprosy Liquidation association and Congregatio Jesu in the Czech Republic. The mass is celebrated by Dr. Vojtěch Eliáš. The mass will be accompanied by: Gabriela Pechmannová (soprano), Zdeňka Ledvinová (organ). Concert from the "Ševčík's Music Evenings" concert series in the secession hall in Prácheň Hotel in Horažďovice, Strakonická 153. Adamus Trio - Jan Adamus - oboe, English horn, Jitka Adamusová - violin, Květa Novotná - piano, outstanding chamber ensemble, laureates of many prizes, invited abroad. Concert of the sacred music. Performers Gabriela Pechmannová (soprano) and Zdeňka Ledvinová (organ). Concert from the "Ševčík's Music Evenings" concert series in the secession hall in Prácheň Hotel in Horažďovice, Strakonická 153. The piano recital of Veronika Böhmová starts second year of Ševčík's Music Evenings. The talented young pianist studies the Prague Musical Academy in the class of professor Ivan Klánský. She is the laureate of many prizes, e.g. in 2010 she successfully took part of the prestigious International Competition Queen Elisabeth in Brussels (semifinals). Years ago she performed in Horažďovice as a laureate of one of the children's competitions. Come and listen to the "familiar" pianist. Entrance 100 CZK and 50 CZK (children, students, pensioners, parents on parental leave). January 1, 2011 (Saturday), 5 pm in Písek in the Feast of the Cross church. New Year's concert of the sacred music with the programme of Christmas songs and pastorales. Performers Gabriela Pechmannová (soprano) and Zdeňka Ledvinová (organ). Concert of the sacred music with the programme of Christmas songs and pastorales. Performers Gabriela Pechmannová (soprano) and Zdeňka Ledvinová (organ). Concert from the "Ševčík's Music Evenings" concert series in the secession hall in Prácheň Hotel in Horažďovice, Strakonická 153. Piper band Plzeňský MLS under the conductorship of Miroslav Šimandl, Sr. Folklore ensemble with the repertoire of folk songs from the regions around Domažlice, Plzeň and southern Bohemia will joyfully bid farewell the old year with newly studied Christmas programme. Voluntary admission. Concert from the "Ševčík's Music Evenings" concert series in the secession hall in Prácheň Hotel in Horažďovice, Strakonická 153. Musical society Camael. The society consists of the girl vocal trio "Triny" and the quintet of instrumentalists. All artists are connected by enthusiasm and passion for traditional folk music - especially Moravian, Slovak and gipsy music. Vocal arrangements of the society are the work of Iveta Kováčová, longtime moderator of the Czech Television, author of the instrumental arrangments is the founder of the society Pavel Fišer who worked i.a. also as primarius of Škampa's quartet. Benefit concert of sacred music. Performers Gabriela Pechmannová (soprano) and Zdeňka Ledvinová (organ). Concert of the 4th "Concert Summer in Štěkeň" festival in the Losy's Hall of the Chateau Štěkeň. Gabriela Pechmannová, Zdeňka Ledvinová - the evening of songs and arias. In the closing concert of the season the outstanding Czech soprano Gabriela Pechmannová came back to Štěkeň and this time was accompanied by the professor of Pilsen Conservatory - Zdeňka Ledvinová. Together they introduced to the audience classical singing repertoire of top level. Concert of the 4th "Concert Summer in Štěkeň" festival in the Losy's Hall of the Chateau Štěkeň. Gabriela Ježková - flute concert with piano accompaniment. Concert of young flutist with piano accompanimant will introduce us young artists from Pardubice in eastern Bohemia. Concert of the 4th "Concert Summer in Štěkeň" festival in the Losy's Hall of the Chateau Štěkeň. Michaela Vyhnálková - viola with piano accompaniment, one invited guest. Young violist has as well already introduced herself in Štěkeň in short compositions as a guest of other artists. Now she is featuring for the first time her full-length programme with piano accompaniment. The surprise of the evening is a young artist from Pilsen. Concert of the 4th "Concert Summer in Štěkeň" festival in the Losy's Hall of the Chateau Štěkeň. Zuzana Sommerová - soprano with renaissance music programme. Young soprano specializes in so called "old music", she has already won herself the audience in Štěkeň. This time with period accompaniment of harpsichord. Concert of the 4th "Concert Summer in Štěkeň" festival in the Losy's Hall of the Chateau Štěkeň. Original Band Horažďovice - wittily arranged famous melodies. Youthful arrangements of famous compositions in the witty performance of teachers from Horažďovice. Art director of the band Radka Panušková works in the Music School of Horažďovice and aside conducting of Original Band follows concert activity in Bohemian Forest Strings trio. Concert of the 4th "Concert Summer in Štěkeň" festival in the Losy's Hall of the Chateau Štěkeň. Maxim Averkiev - virtuose piano concert. The pianist is a protagonist of excellent Russian piano school. He doesn't fill his concerts only with virtuose technique but also with expressive feeling which attracts quickly his audience. Concert arranged in co-operation with the Township Štěkeň and the Czech province Congregatio Jesu. Voluntary admission. Concert from the "Ševčík's Music Evenings" concert series in the secession hall in Prácheň Hotel in Horažďovice, Strakonická 153. Marek Pavelec's violin concert. Young perspective violinist from Pilsen, twenty-year-old student of well-known professor Jindřiška Holotová. Accompanied by Maxim Averkiev. Concert arranged in co-operation with the Town Horažďovice. Voluntary admission. Concert of the 4th "Concert Summer in Štěkeň" festival in the Losy's Hall of the Chateau Štěkeň. De profundis - chamber choir which sings sacred songs and spirituals. Musical professionals devote their free time in the interpretation of the sacred music from around the world. The conductor of the choir, Miloslav Esterle, is director of the music school in Starý Plzenec. Concert arranged in co-operation with the Township Štěkeň and the Czech province Congregatio Jesu. Voluntary admission. Concert of the 4th "Concert Summer in Štěkeň" festival in the Losy's Hall of the Chateau Štěkeň. Performance of the young temperamental violinist from Pilsen Marek Pavelec accompannied by the pianist Maxim Averkiev. Concert arranged in co-operation with the Township Štěkeň and the Czech province Congregatio Jesu. Voluntary admission. Concert from the "Ševčík's Music Evenings" concert series in the secession hall in Prácheň Hotel in Horažďovice, Strakonická 153. Performance of the Barok Collegium ensemble with music programme of the old masters. Co-performer mezzosopranist Kateřina Kachlíková. Concert arranged in co-operation with the Town Horažďovice. Voluntary admission. First concert from the "Ševčík's Music Evenings" concert series in the secession hall in Prácheň Hotel in Horažďovice, Strakonická 153. Piano concert of a virtuose Russian pianist Maxim Averkiev. Programme: W. A. Mozart, R. Schumann, C. Debussy, S. V. Rachmaninov, F. Liszt. Concert arranged in co-operation with the Town Horažďovice. Voluntary admission. Help with provision of the concert season "Ševčík's Musical Evenings" in Horažďovice. Season is organised in co-operation with Town Horažďovice represented by the mayor Mgr. Jindřiška Antropiusová. Help with provision of the concert season - festival "Concert Summer in Štěkeň". Season is organised in co-operation with Czech province of Congregatio Jesu and Township Štěkeň represented by the mayor Ing. Miroslav Košta. November 28, 2009 at 7 p.m.
November 27, 2009 at 7 p.m. Almost advent concert in Husův sbor (Hussite church) in Horažďovice. The performer Miloslav Študent will introduce baroque lute, baroque guitar and galizona in the compositions of "lute prince" Jan Antonín Losy, earl of Losinthal. Concert is arranged in co-operation with religious church of the Czechoslovakian Hussite Church in Horažďovice and with financial support of Town Horažďovice. Voluntary admission. The concert hall of Prácheň Hotel in Horažďovice was provided with a piano Bohemia III after general repair. The chateau hall of Losy from Losinthal was provided with a piano Petrof V after general repair. Accordion concert of Petr Vacek, bearer of many national and international prizes and the prize Orfeus of 700 Years of Pilsen City Foundation. Guests invited by the interpreter: Michaela Vyhnálková (viola), Jiří Jílek (accordion). Concert in the chateau hall of Losy from Losinthal in Štěkeň was provided by the association "Hudba bez hranic, o.s." in co-operation with Czech province of Congregatio Jesu and Township Štěkeň within the "Concert Summer in Štěkeň" festival. Concert of the Czech soprano Gabriela Pechmannová with abroad guests: Ekkehard Hauenstein (Germany) - flute and Martin Karlíček (Canada) - piano. Concert provided and organized on invitation and in co-operation with the department of culture, education and sights of Town Horažďovice and with financial support of Town Horažďovice within the festival "Castellan Concert Summer." Concert cofinanced with resources of the association "Hudba bez hranic, o.s." and from donations of private companies - persons interested in advertisements on concert prints. Concert of the medieval group Flagrans. Concert in the chateau park in Štěkeň was provided by the association "Hudba bez hranic, o.s." in co-operation with Czech province of Congregatio Jesu and with Township Štěkeň within the "Concert Summer in Štěkeň" festival. Concert for the seminarists of the Diplomatic Academy of the Ministry of Foreign Affairs of the Czech Republic and for the residents of the town Horažďovice was provided and cofinanced by the association "Hudba bez hranic, o.s." in the co-operation with "Spolek rodáků a příznivců Horažďovic, města pod starobylou Práchní o.s." (Association of the natives and friends of Horažďovice, the town under the ancient Prácheň). Performers: Michaela Vyhnálková - viola, Radek Dlouhý - accordion. Suite of folk songs presented by the duo Martin Kaplan (violin) - Josef Fiala (violin). Concert in the chateau hall of Losy from Losinthal in Štěkeň was provided by the association "Hudba bez hranic, o.s." in the cooperation with Czech province of Congregatio Jesu and Township Štěkeň within "Concert Summer in Štěkeň" festival.